The Trumpington team have retained the Ludbrook Plate at this year's District Striking Competition at Linton on Sat 10th June 2017. Eleven teams took part, including two teams from the new Sawston band. 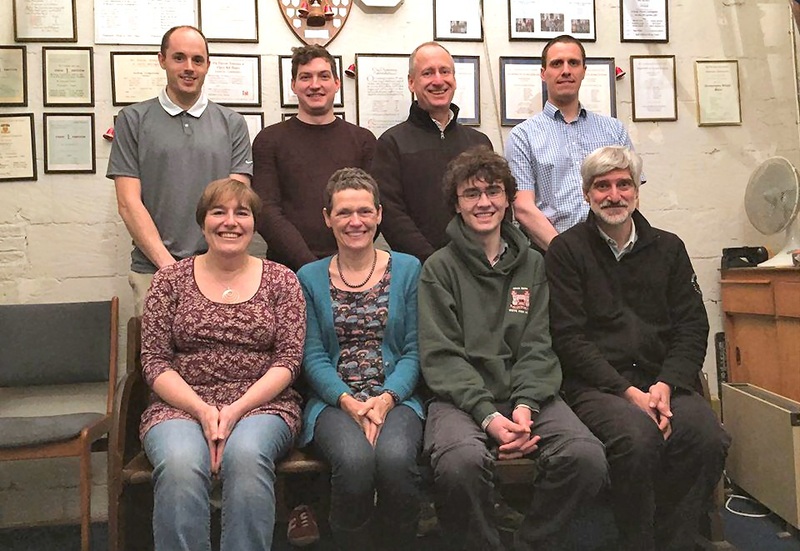 Judge Lesley Boyle had the unenviable task of concentrating for two and a half hours, as the teams got to grips with the challenge of Linton's bells. Meanwhile it was lovely to sit in the sun in the churchyard, listening and chatting. 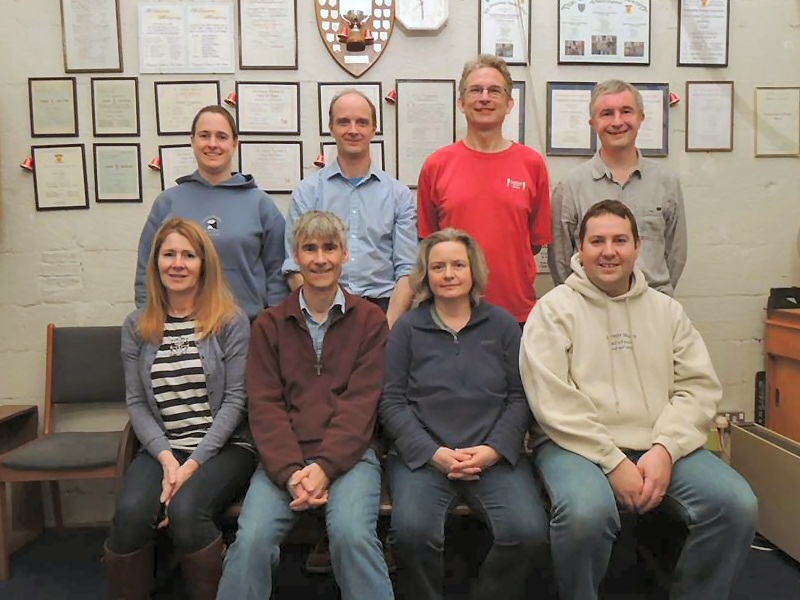 Trumpington won with the fewest faults in their test piece of 120 changes of Plain Bob Doubles. 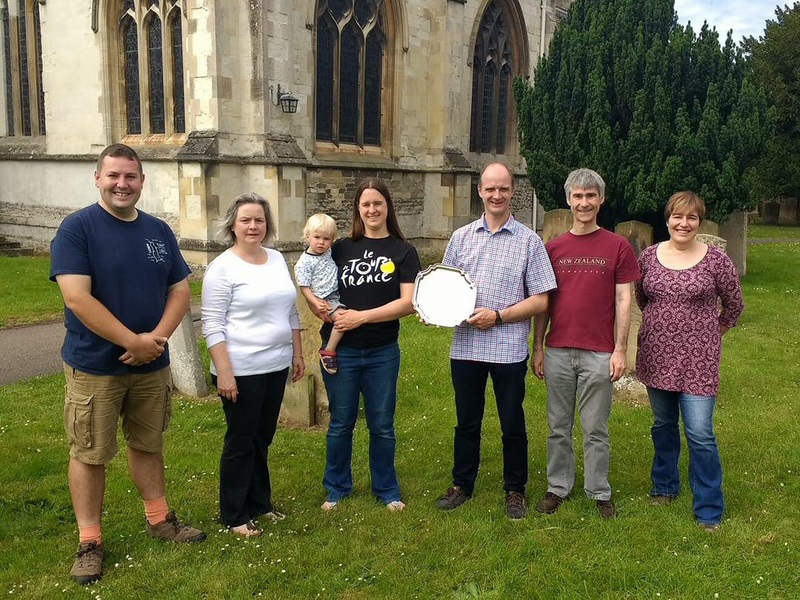 The competition trophy - the Ludbrook Plate - has special significance as it was donated by the Trumpington Ringers in memory of Ivan Ludbrook, a former Tower Captain at Trumpington. This year Trumpington were again able to ring not just one, but two Date Touches of 2017 changes to welcome the New Year, first a Date Touch of Superlative on 1st Jan 2017, followed by a Date Touch of Spliced Triples and Major on 2nd Jan 2017. "We attempt the difficult, for there is no virtue in what is easy"
7th Jan 2017 - Peal of 8-Spliced Surprise Major. Billy's first peal of spliced inside. Birthday compliment to Jenny Goodwin and Jenny Croft.